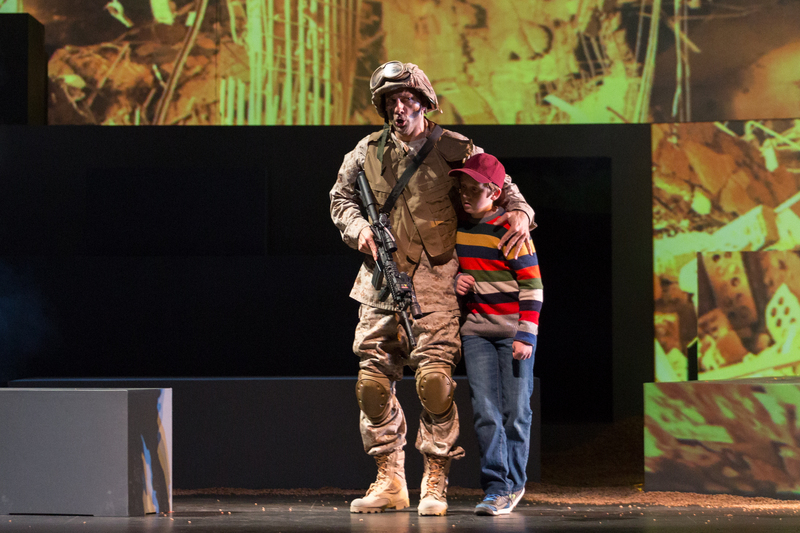 Baritone David Adam Moore is the Soldier and actor Ryan Singer is the Child in San Diego Opera’s SOLDIER SONGS. November, 2016. Photo copyright Karli Cadel. Saturday, Nov. 12 at 7 p.m.
Sunday, Nov. 13 at 2 p.m.
“Gripping and realistic, Soldier Songs traces the shift in perception of war from the age of 6 to the age of 66. We follow the lead character through the phases of life from boy to man: playing war games and violent video games as a youth, enlisting and serving in the military, the real-life horrors of war and a father whose worst fears are realized with the news of the death of his son. All Soldier Songs performances include the 55-minute opera, a brief intermission, and “Act II,” a 30- to 40-minute panel discussion including three veterans. 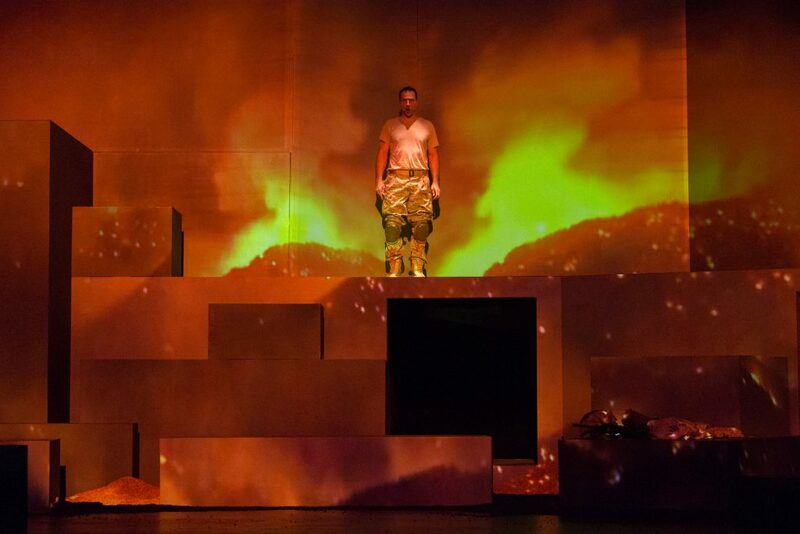 Baritone David Adam Moore is the Soldier in San Diego Opera’s SOLDIER SONGS. November, 2016. Photo copyright Karli Cadel.